Previously some parts of iPhone 5/4S partially assembled were leaked and later one they were claimed, that they were not by Apple. The leaked photos showed that the parts got an A5 processor which Apple is planning to implement in their upcoming iPhone 4S/5. Moments ago iPhoneItalia reported about some more parts which it got from its user who is said to be working for years, for repair. 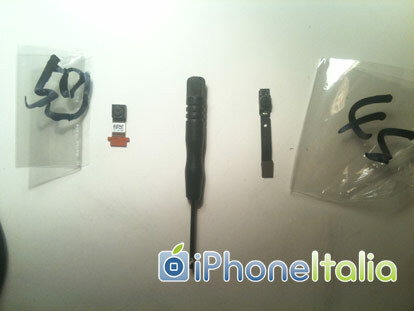 Few days back he ordered some parts from his Chinese Supplier, the supplier defines those components to be of iPhone 4S/5. 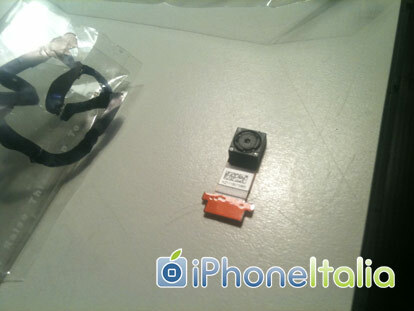 The components are shown, is the front camera of iPhone 5/4S. Above the camera is smaller, which is suggested to of iPhone 5. The resolution of the camera is unknown. From the previous report confirmed the resolution of the Camera to be 8 Mega Pixel. How ever the above Camera is said to be of iPhone 4S and the same resolution as iPhone 4. Apple will only make some changes in the design and will add the A5 processor to the iPhone 4S. 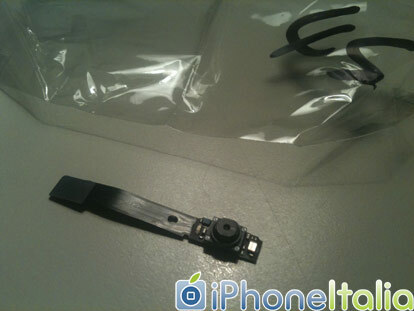 The iPhone 4S Front camera is longer than the iPhone 5 camera. Below you can see the close comparison between the bot of the Front Cameras. Previous reports claimed that Apple is planning to release iPhone 5 and iPhone 4 Plus this year. Future and present reports are conflicting with the previous reports about the iPhone 5 Launch. Previous report said that there won’t be any iPhone 5, where as iPhone 4S will be released this year. iPhone 5 will be delayed due to some design changes. These days Rumors are very hard to believe. They them selves are confused about the release of the next gen iPhone. These all news are just a matter of weeks and then we will see what is Apple up to and releasing on their Press Conference. iOS 5and iCLoud are confirmed, and Jailbreak for iOS 5 is confirmed. The only wait for iPhone 5/4S with an A5 chip is making the wait long for the Jailbreak.